Goodreads: In her twenties, Emma Blair marries her high school sweetheart, Jesse. They build a life for themselves, far away from the expectations of their parents and the people of their hometown in Massachusetts. They travel the world together, living life to the fullest and seizing every opportunity for adventure. Kritters Thoughts: Does each person only have one soul mate? Can you have more than one true love in your life? These are maybe a few questions that people ask often and this book tackles these questions with an interesting twist. Emma Blair met two boys while in high school and ended up going away to college and marrying one and losing contact with the other. After a turn of events, the one she marries goes missing and in her devastation she returns home and possibly reconnects with the other. What happens if the original true love comes back? I love this concept of maybe each person has more than one potential shot at true love. I am happily married, but wonder if I had taken a different road would I have ended up happily married just to someone else? Were small decisions that I made sent me down this path that resulted in happiness, but if I had made a small turn would I have still ended up happy just somewhere else? I love when fiction can make you think a little without completely hitting you in the gut. I also love how Taylor Jenkins Reid tackles topics with characters that seem so real that you wish you could be friends with them! I loved Emma Blair and thought she was so real and her character arc felt honest. In the editor letter in the beginning of my ARC I read she was on a team and I have to admit I was #TeamSam the entire book. Call me a rational non adventure kind of lady, but Sam was my guy from the start! An added bonus in a book is a bookstore, so to have the Blair family own a generational bookstore may have put this book over the top for me! What reader doesn't love a story with a bookstore in it! 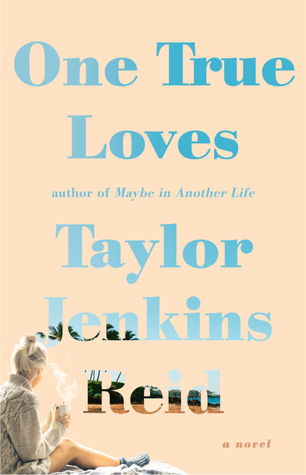 I will read any Taylor Jenkins Reid book without even having a synopsis or title!